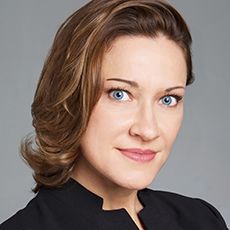 Stephanie Kleine-Ahlbrandt is the Finance Expert on the UN Panel of Experts established pursuant to Security Council Resolution 1874 (2009). She is responsible for monitoring and analyzing the Democratic People’s Republic of Korea’s (DPRK) global financial activities and providing recommendations to the Security Council to improve sanctions implementation. In particular, she investigates cases of non-compliance involving financial activates and analyzes the techniques used by the DPRK to conduct its financial operations.Previously, she served as Director of the Asia-Pacific Program at the United States Institute of Peace in Washington DC and was also based in Beijing, China for 6 years as Director of the Northeast Asia Program of the International Crisis Group. She served as an International Affairs Fellow at the Council on Foreign Relations in New York and worked as a United Nations official for a decade, conducting numerous investigations. She was seconded by the U.S. Department of State to the OSCE Mission to Bosnia and Herzegovina, investigated genocide and other human rights violations for the United Nations in Rwanda (1994-1995), and worked with the Legal Affairs Directorate of the Council of Europe.Her writings have appeared in Foreign Affairs, the Washington Post, the Wall Street Journal, the Financial Times, the International Herald Tribune and Le Monde Diplomatique. She is a member of the Council on Foreign Relations.